Live Stand Up Comedy in California! San Francisco, Santa Cruz, LA & San Diego! 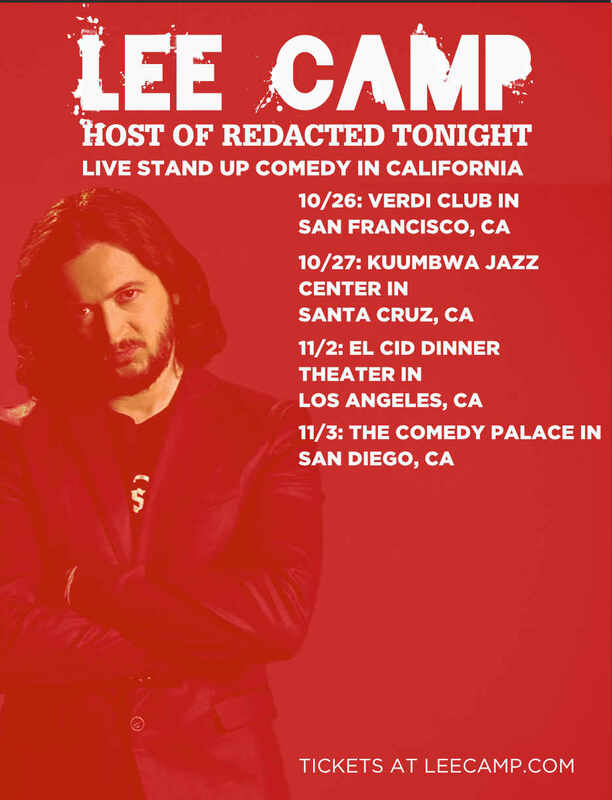 I’m touring California in late October and early November! I’m coming to San Francisco, Santa Cruz, Los Angeles & San Deigo. If you’re in those cities, check out the schedule below, get your tickets, bring some friends and come hangout with me! 10/26: Verdi Club in San Francisco. Special guests Krish Mohan & Liss Victory! Tickets are available now! 10/27: Kuumbwa Jazz Center in Santa Cruz. Special guests Eleanor Goldfield, Krish Mohan & Liss Victory! Tickets are available now! 11/2: El Cid Dinner Theater in Los Angeles with Special guests Eleanor Goldfield, Jimmy Dore, & Rick Overton! Tickets are available now! 11/3: Comedy Palace in San Diego. Tickets are available now!